Bosley shampoo uses a combination of Saw Palmetto and Pentapeptides to strengthen and fortify existing hair follicles for thicker looking hair. haihairYou’ve probably seen the late night infomercials from Bosley. Bosley Medical, has been known for showing great hair transplant results in both men and women. It also has many locations all over the US from San Fransisco and San Diego to Dallas. 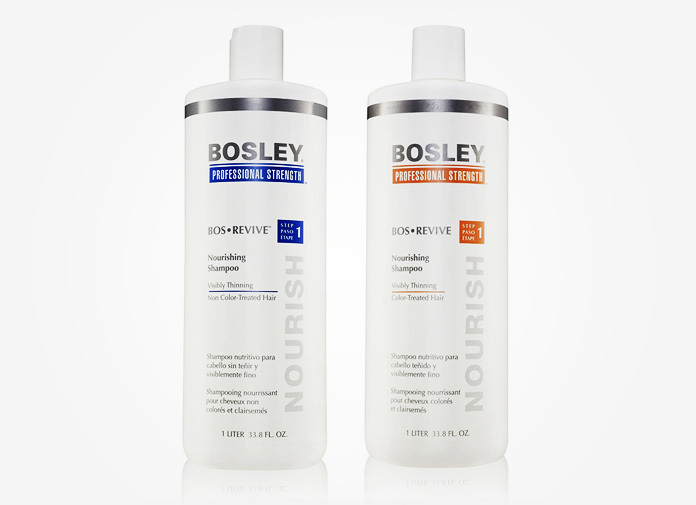 But did you know they also make other Bosley products, including shampoos, conditioners and thickeners? In this review, we will talk abbot Bosley hair shampoo and how it can help people who are suffering from hair loss. Both are designed to remove DHT buildup in the hair follicles of people who have visibly thinning hair. In order to eliminate DHT, both of the Bos Revive shampoos include something called LifeXtend Complex. The LifeXtend Complex uses a combination of hair growth ingredients, including Saw Palmetto. It is formulated to strengthen and fortify existing hair follicles for thicker looking hair. Also, it helps hydrates the scalp and hair strands simultaneously according to the Bosley website. How well does Bosley shampoo work for thinning hair? Here are some highlights of Bosley shampoo reviews from actual users. This is similar to the Nioxin shampoo. Both Nioxin and Bosley products give a tingling sensation when you rub the liquid on your scalp. A number of reviews mention that the conditioner usually tingles longer than the shampoo. Even though the official bosley site, www.bosley.com, states that their shampoos will provide good hydration that our hair need, many people say that the shampoo made their hair feel a bit dry. 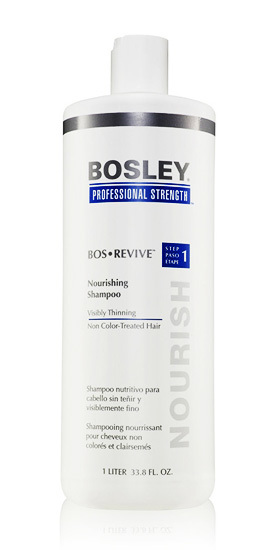 People (mostly women) with fine or thin hair who used Bosley Revive say that the shampoo made their hair feel fuller. 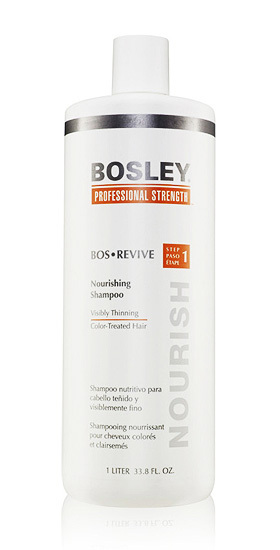 But many of those reviewers also use the thickening treatment (one of Bosley’s 3-step hair care solutions). A majority of hair thinning shampoos usually cost over $20 or sometimes much more. But the Bosley shampoo and conditioner set for 33.8 oz (the biggest bottle) cost only $35 for both products. This will also last a long time (using for at least 2-3 months). Est-ce bon pour quelqu’un qui fait de la pelade. Alopecia Areata is due to autoimmune disease and to be honest, I don’t think there are any shampoos in the market that cure Aloepcia Areata at the moment. One of my recommendations based on the above link is to try Minoxidil to the bald spot areas for at least 3-4 months. Hope this helps and let me know if you have any additional questions. I just bought some and am going to try it. I’ll let you know my results!